Deep Fried And On A Stick | Boston or Bust! 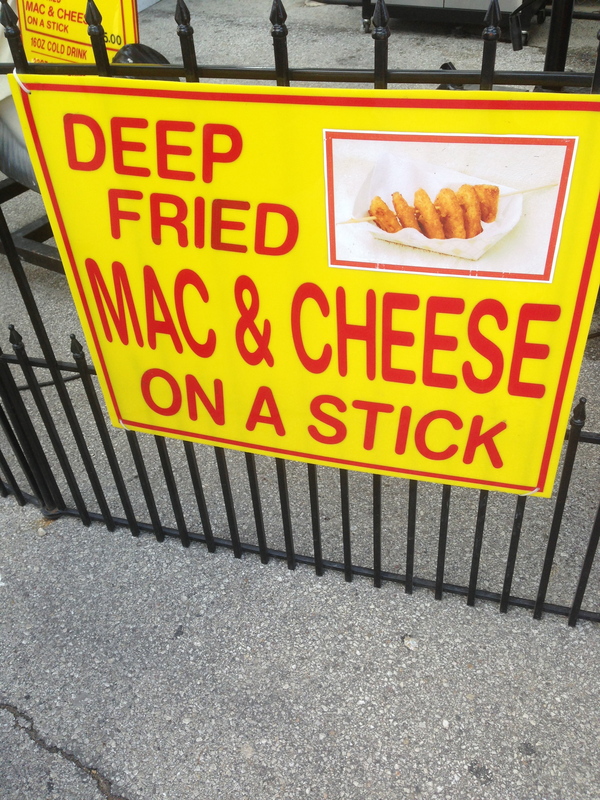 Deep Fried and On a Stick was the food of the day at the Wisconsin State Fair this year. There is absolutely no food that is off-limits. 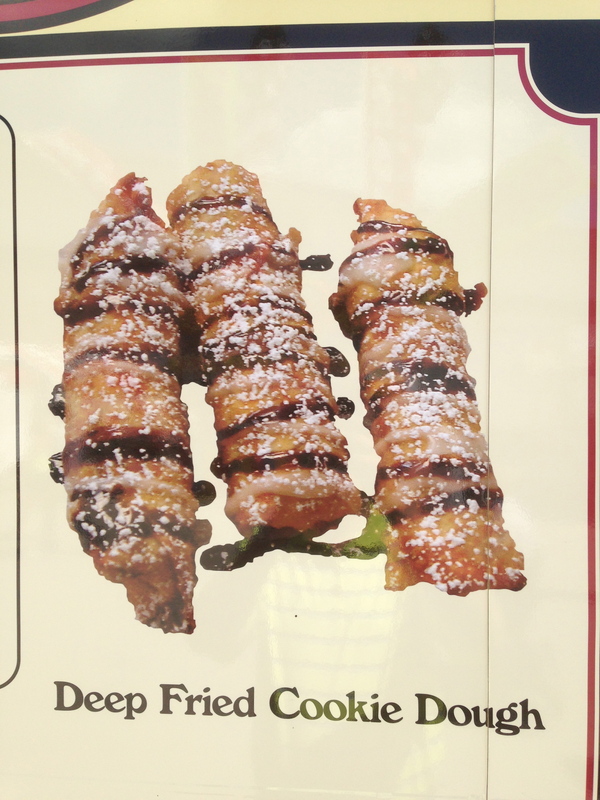 Everything is good when it is deep fried and even better when it is deep fried AND on a stick. They’ve found the answer! Last week my family and I spent a sunny 70 degree day in West Allis, Wisconsin at this fair looking at fancy cows, shiny Clydesdales and big, big pigs. We watched some of these (smaller) pigs with names like Jean-Claude Van Ham, Chewbacon and Jerry Swinefeld race around a track for an Oreo. We rode the Carney rides. And we ate. 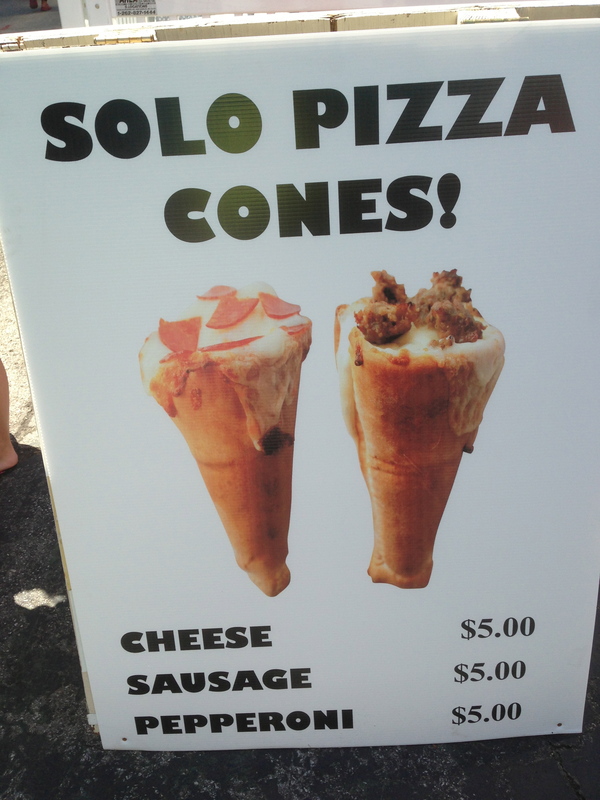 I got such a kick out of the creativity of the food vendors I thought it was worthy of a blog post. 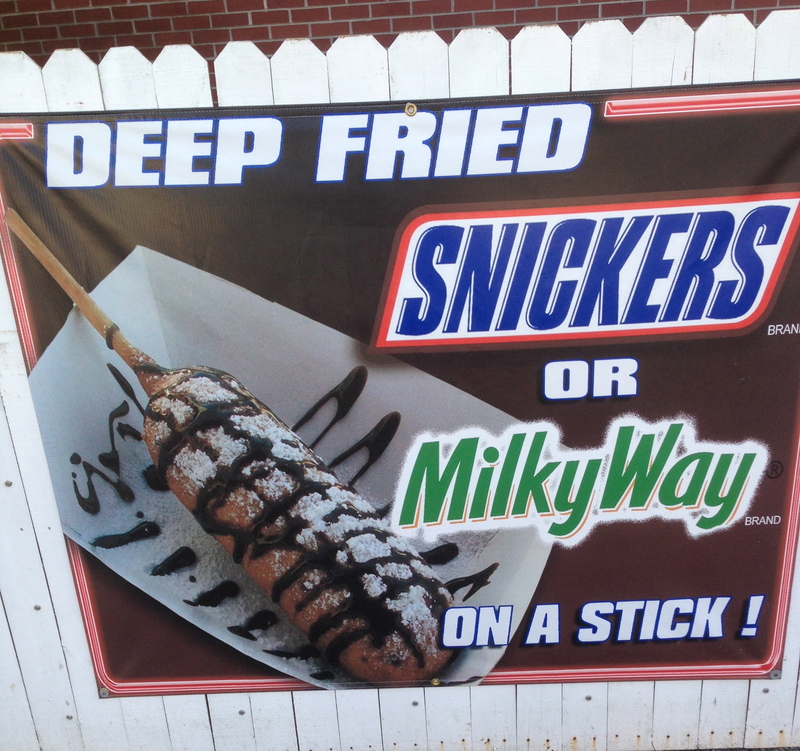 Truly, if you ever get the chance you need to go to this state fair. Deep Fried and Awesome! I thought instead of a bunch of babble you blog fans out there would get a much bigger kick out of pictures capturing the event. 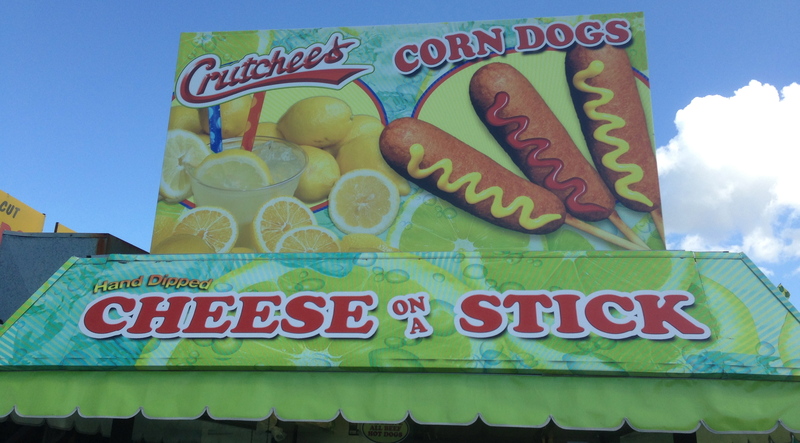 So here are a few of the sights and sounds of the fair in my own personal Top 10 favorite list. 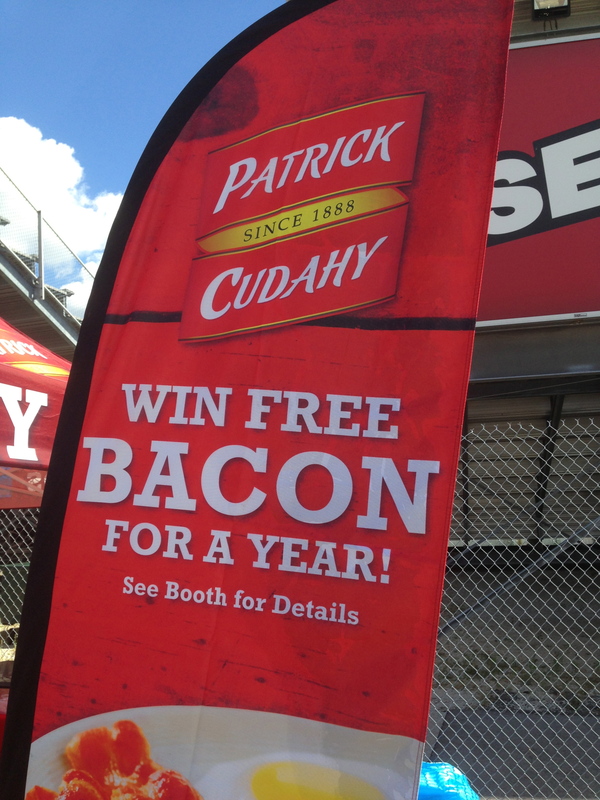 #10 – Free Bacon For A Year! Free Bacon for a Year?! Whaaaat? Not deep fried but still looks good! My wife says this must be good. And yes, there is a stick inserted. Seemed fancy so I let it make the list. 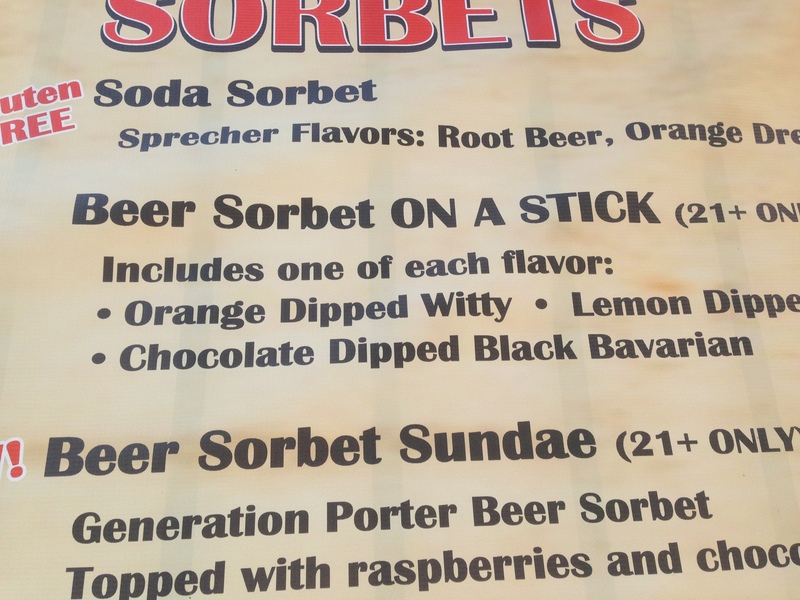 I’m not sure what Sorbet is but it is with Beer so makes the top 5. They didn’t specify but I have to believe this is (Deep Fried) Cheese on a Stick! 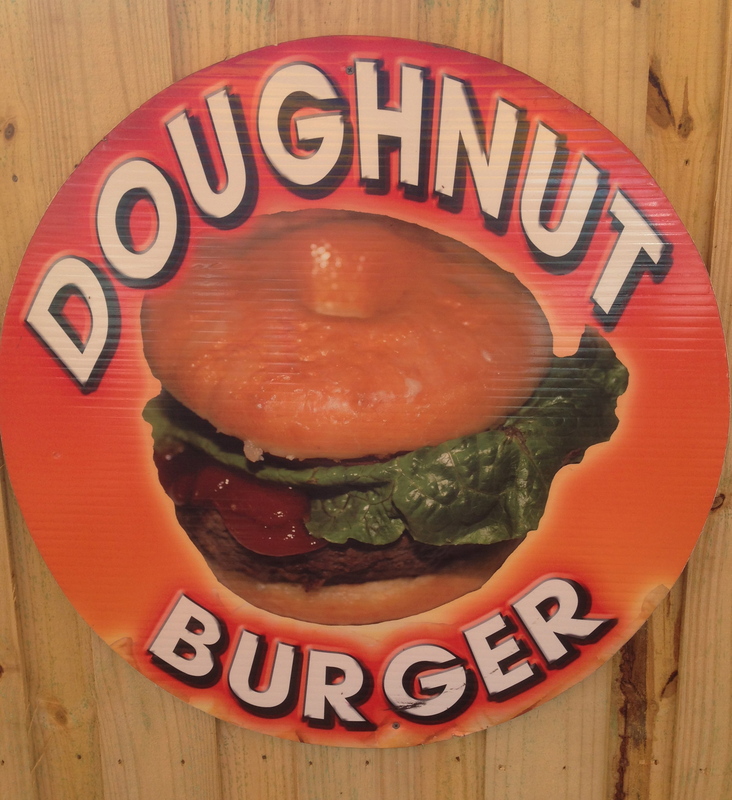 This looks like a Krispy Kreme cut in half with a burger and some healthy lettuce and tomato inserted. Wins just because it makes you gag looking at it. Edged out the Pork Doughnut (Bismark filled with Pork). Running Update: Ok, we didn’t eat all that stuff. Honest. We did have some Frozen Bananas dipped in chocolate and sprinkles and we did have some sort of disgusting sausage reuben bites with a pretzel stick inserted. But other than that, no Deep Fried anything. I think it may have had to do with the fact that the previous night we ate at Food War’s winner for Best Burger – AJ Bombers! Between their monstrous (and very good) burgers and the Bloody Mary’s (with bacon wrapped cheeseburger, pickles, lemon, lime and other such stuff) we had already stepped a bit off the training program. Not much running news to report but I did, however, get an 8 mile run in on Saturday under a bright blue sky out on the country farm roads. Pretty uneventful other than the Beast dog that came flying across the farm at me barking up a storm, hair on end and running one hundred miles per hour. It was either my last run or he was just kidding. Luckily he was just kidding. He came screeching to a halt at the ditch and then just wagged his tail. Good one Beast! 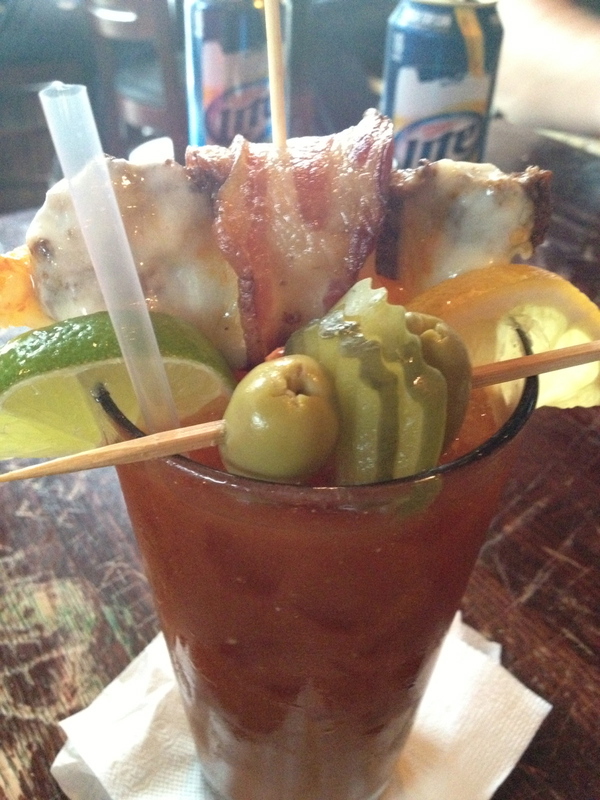 Wife’s Bloody Mary. Cheeseburger was hot and good! And the pickles were “on a stick”. This entry was posted on Monday, August 5th, 2013 at 8:55 pm and is filed under Monthly Posts. You can follow any responses to this entry through the RSS 2.0 feed. Both comments and pings are currently closed. 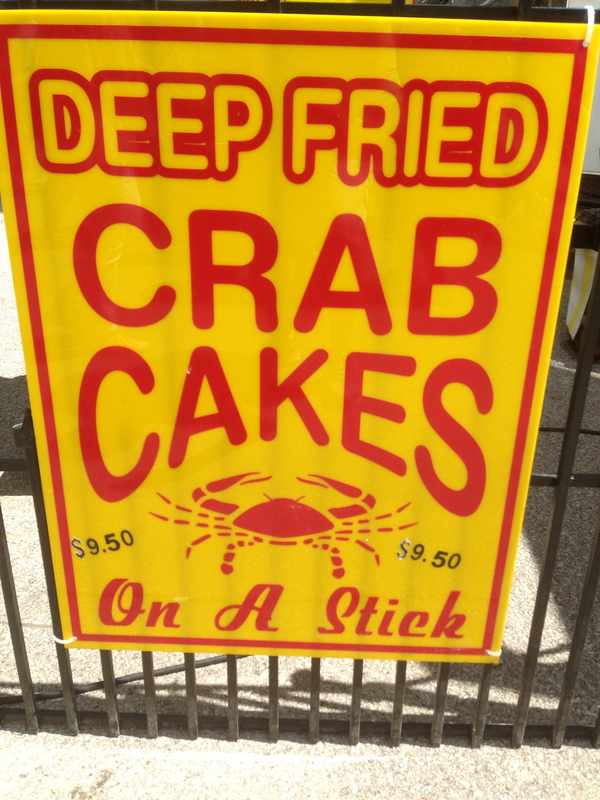 Now I know all I ever wanted to know about deep fried grossness on a stick! I am proud of you for resisting and your body thanks you! Let’s do a long run next time you’re home.